The “4 for Fair Food” Tour is launching this Friday, March 1st, and we need YOUR help to get the Immokalee bus on the road! The CIW and the Alliance for Fair Food are hard at work in Immokalee, finishing up the artwork and making the final push to mobilize allies from across the country for the upcoming “4 for Fair Food” Tour. But we can’t make the tour happen without your support. Today, we bring you a call to arms from the Alliance for Fair Food, who has spearheaded a fundraising effort for the upcoming tour. Please donate today and share the fundraiser with your friends and family! 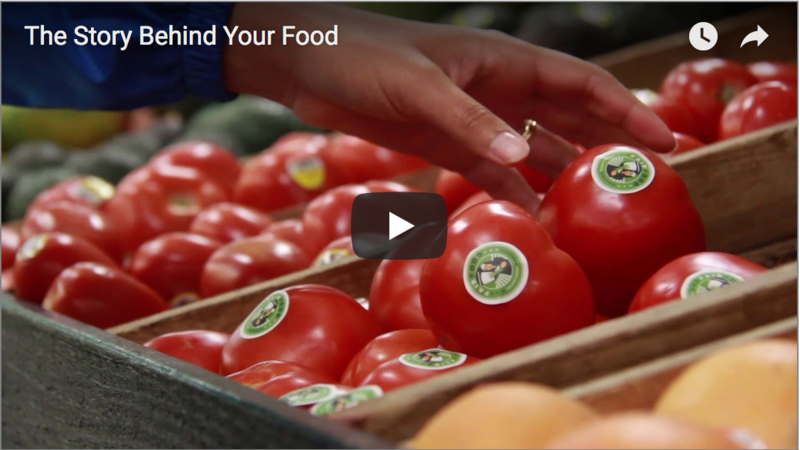 The Fair Food Nation has long known the power of uniting across the supply chain. 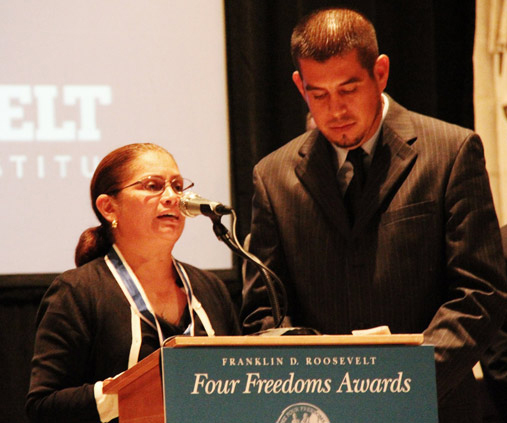 We’ve known the power of encuentro – that deep experience when consumers and farmworkers are able to stand together, to see eye-to-eye, and to work for that which we dream: a world where human rights violations that have plagued the fields for generations are not just remedied, but prevented. A world without victims. Can you stand together with us again by donating to help farmworkers and their allies hit the road on the “4 for Fair Food” Tourg this Friday? Together, we have taken on some of the world’s largest corporations, awakening them to the disturbing reality of poverty, sexual violence, and forced labor that lay behind their glossy brands. When executives claimed it was not their responsibility, key institutions – universities, religious denominations, and community organizations – refused to do business with their companies until they signed legally binding Fair Food agreements with the men and women who harvest their produce. 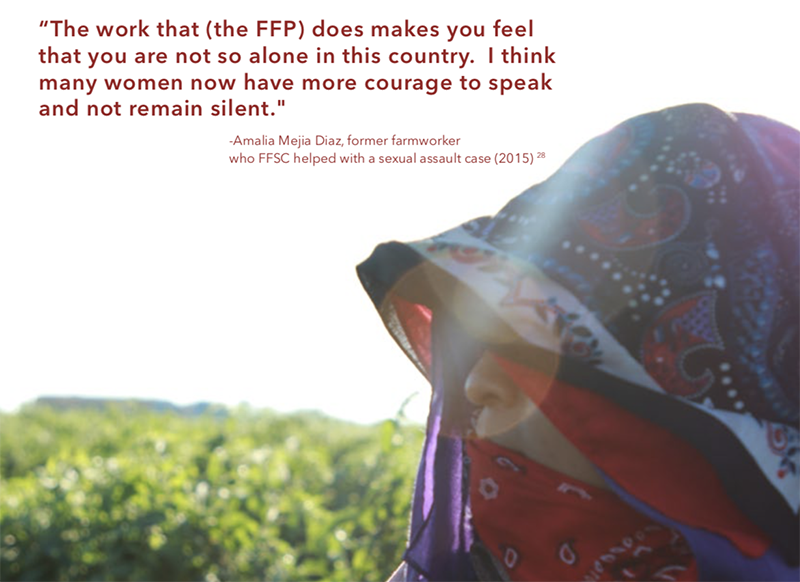 The result was the Fair Food Program, which has, with unprecedented speed and unparalleled power, transformed the tomato industry and guaranteed rights and respect for 35,000 women and men laboring on Program farms in seven states. One might think, given the extraordinary success of the Fair Food Program, that this battle for Worker-driven Social Responsibility would have been won and that other corporations would be lining up to participate. But not Wendy’s. 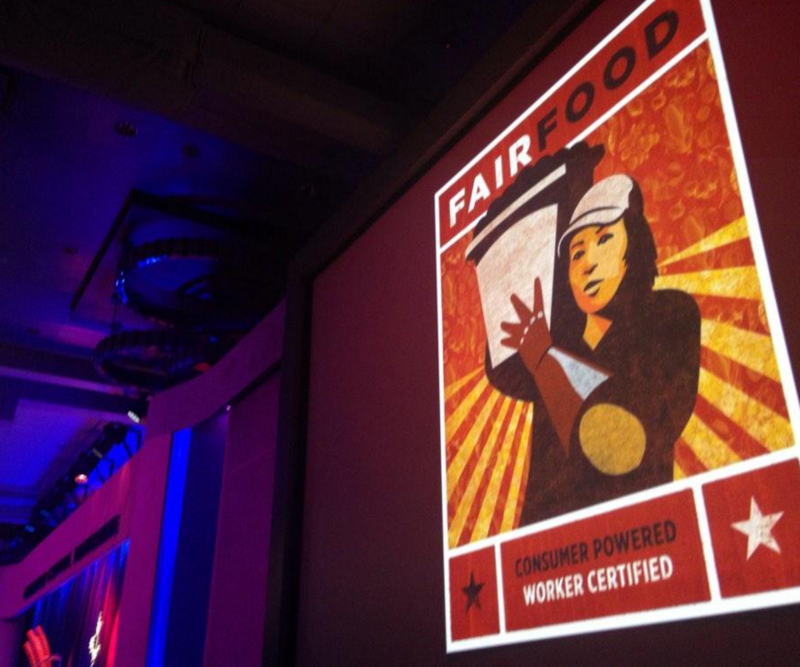 Wendy’s is attempting to undermine the very foundation upon which the Fair Food Program is based: farmworker leadership in the design, monitoring, and enforcement of their own human rights. The company’s toothless code and corporate-controlled auditing are a masquerade of social responsibility; deemed a “sham” by a leading international human rights expert, Wendy’s approach to social responsibility is fatally flawed by design and ruthlessly deployed as a shield. Comments by executives claiming conditions in greenhouses are “inherently better” reflect an arrogance that gambles they will not be called out on the truth. 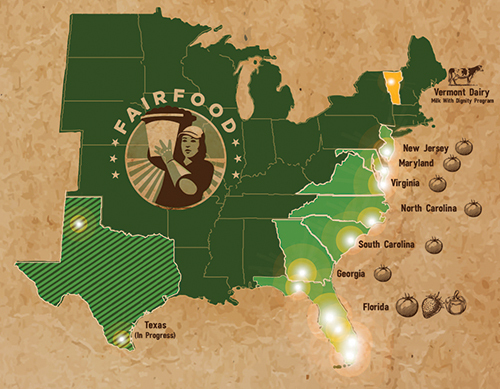 Today, we need your help to speak truth to power across the country on the 4 for Fair Food Tour, which leaves this Friday. 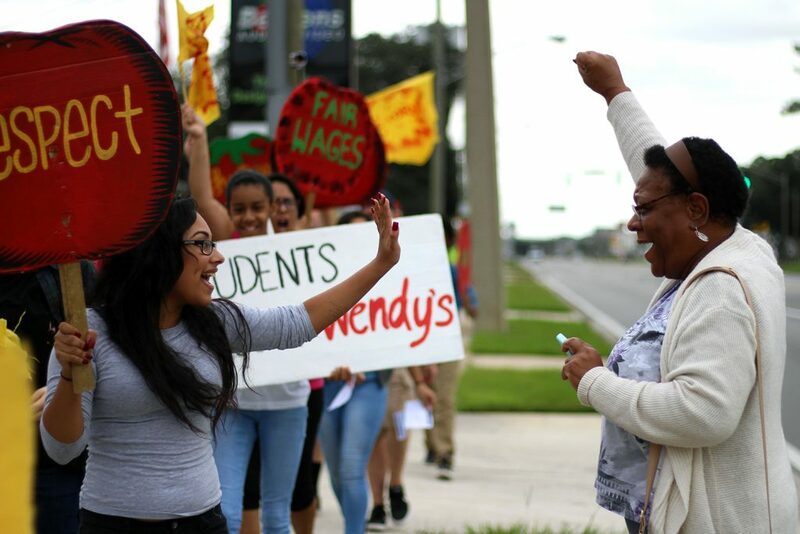 Students on four public university campuses, with the backing of farmworkers in Immokalee, have called on their administrations to cut ties with Wendy’s; to not tarnish their good name by looking the other way and get off the sidelines in this moral battle. And we’ve proven that we can win: Just last week, we announced that the University of Michigan will not be bringing Wendy’s back to campus. Help us ride the incredible energy and momentum of the Michigan victory to even more wins in the Boot the Braids Campaigns at OSU, UF and UNC. Students across these institutions have invited CIW to join them on campus, to break through the universities’ refusal to see the sharp difference between Wendy’s approach to social responsibility that excludes the human beings whose human rights are at stake and the Fair Food Program. 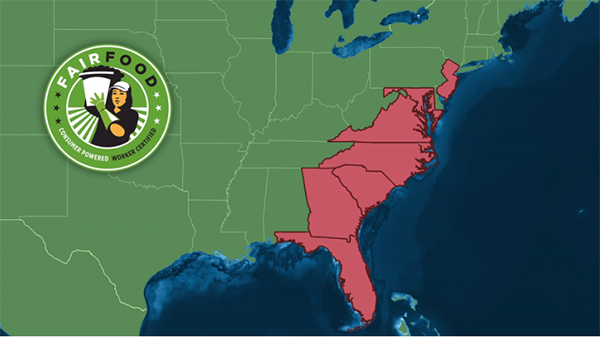 Help farmworkers bring the truth about Wendy’s directly to these universities’ doorsteps. Click here to donate today, and please share the call far and wide in your networks!